Almost 9 years ago I walked to a local crèche and pressed the buzzer. I had an appointment with the manager to start the settling in period of my then almost 7 month old. I had booked her place while about 4 months pregnant and after my period of maternity leave it was time to go back to work. Thankfully she settled in relatively well; nothing more than the usual few initial tears about leaving Mammy and Daddy and the customary array of bugs she brought home (and passed onto Mammy!). By the time she was one-year-of-age she was well settled and beginning to toddle around the Baby room of the crèche like she owned the place. Granted she spent most of her day Monday to Friday there. She quickly grew and progressed to the Toddler Room and then the Pre-school room. Mammy continued to work and eventually was pregnant again. My little man came along and after a second maternity leave it was a given. He would join his sister full-time in the crèche. He too settled in fine. As the kids grew, while they seemed to love it, I started lamenting the time I was missing with them. I managed to secure a 4 day week and spent every Monday with my little man. My oldest had progressed to the Montessori room and started her ECCE pre-school year and so went in but just from 9am to noon and got to join us for the rest of the day. We had also arranged that every second Friday they would spend it with Mammy, Daddy or Nana and Grandad. It was all going fine but I started to worry about how I would manage childcare with primary school in the equation as the crèche did not provide after school care. That all got sorted when I found out I was pregnant!! My third arrived a few weeks after my oldest started Junior Infants. During my maternity leave, once my new little lady was settled at home, I reduced my little man to just mornings. Eventually however it came time to return to work. We decided in the end to get an au pair however to ensure we were keeping within the recommended hours we decided to use a combination of crèche and au pair, especially since my little boy was starting his ECCE year. He remained on 5 half days (with the au pair doing drop offs and collections) and we settled our newest arrival into the baby room on the same half time hours. It all worked well until I decided to take a career break. My career break commenced as my little boy graduated from Montessori. As my plan was to only take a year off and to avoid any issues when I returned to work we decided to leave our youngest in the crèche but reduce her to three mornings a week. Of course I extended my career break; but we continued that arrangement to bring her to last September, when she joined her ECCE year and moved to going to Montessori 5 mornings a week. She finished up last Thursday. 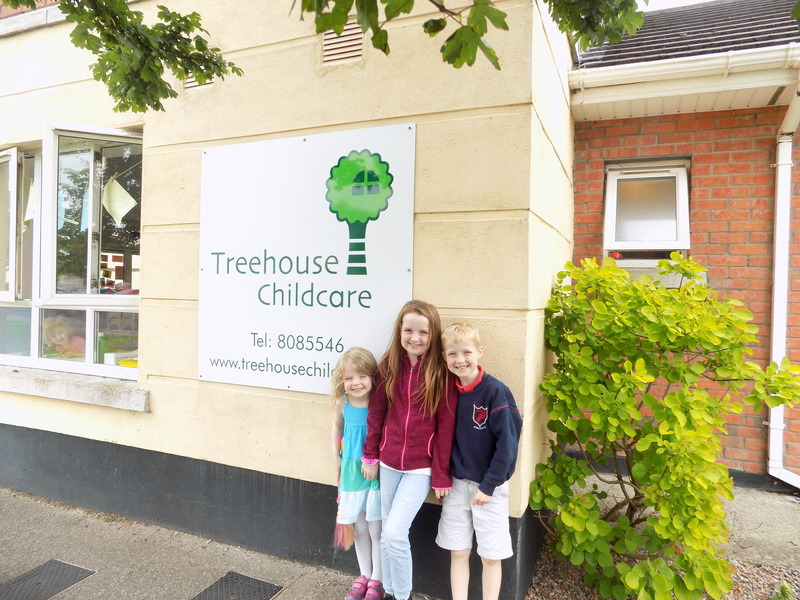 There is no one coming up the ranks behind her and having spent 9 years in and out of the crèche, as each of my kids progressed through each of the four rooms, we walked out the door for the final time. I am sure most parents feel a little pang as their kids finish pre-school but walking out of a building that has been part of my life for almost a quarter of my existence seems mammoth. I barely held back the tears saying goodbye to the manager, the same manager who almost 9 years ago helped me through my very first induction. We were truly blessed to have found a crèche that worked out for us so incredibly assisting us in bringing our kids through to primary school age. It is the end of an era however my youngest is so super excited to start “big school”. She has met her teacher and seen her classroom and chatted to some of her new classmates. She will be fine. Let the next era commence!